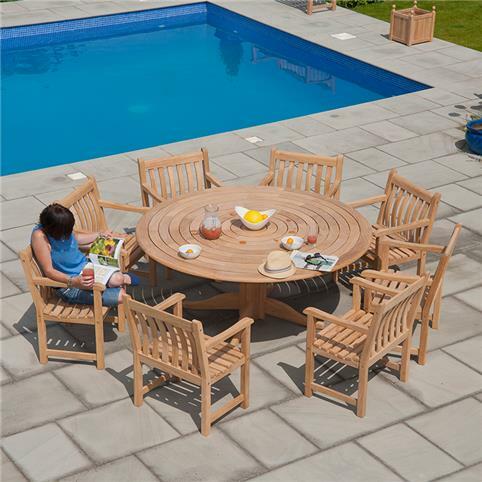 A fabulous hardwood to introduce into your Garden for it’s strength, durability and innate beauty is Roble, still a relatively unfamiliar name this hardwood is fast becoming a buzz word in the Garden Furniture industry, and quite deservedly so. 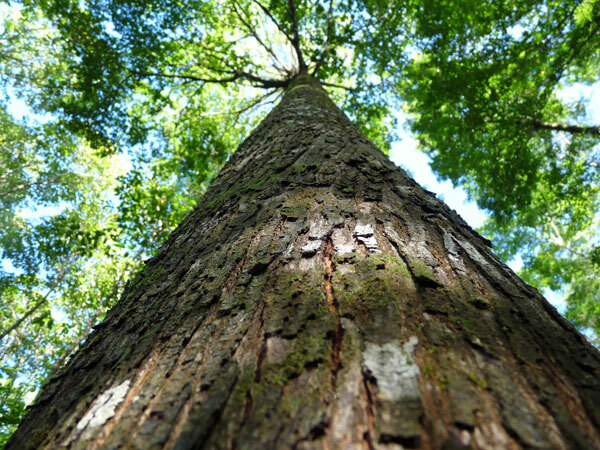 Native to the lowlands of Costa Rica, Roble wood originates from the imposing Trumpet Tree that towers at 90 feet tall, which is so called due to its flowers, which bloom in either pink or white, being trumpet shaped. 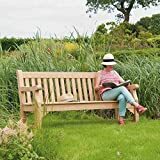 Just like Teak, the beauty of Roble Wood Garden Furniture is unsurpassable, the light golden honey tone looks fabulous when the light catches it and its immense strength and durability ensure that it will make a long standing addition to your garden. Being very rich in natural oil and resin Roble wears very well and makes an excellent choice for areas that are exposed to the elements. 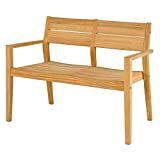 Roble firmly belongs to an exclusive club and is in good company with Teak and Cedar that are the few kinds of wood that are considered weather resistant. 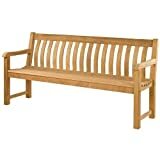 The build design quality of the Roble Turnberry Bench (pictured below) is superb, with contouring for increased comfort and great consideration applied to it’s construction we think this bench represents excellent value, its timeless appeal make this an ideal choice for any garden landscape or communal area, just add coffee and a newspaper! 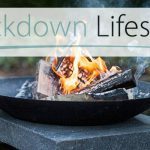 Of course taking care of your Roble Garden Furniture is almost as effortless as it’s beauty, pretty much taking care of itself this isn’t a wood that screams high maintenance diva! 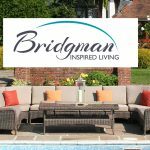 A simple wash down to remove any accumulated debris followed by a slick of linseed oil or alternatively a Roble Garden Furniture care wax will keep it’s understated good looks for a lifetime of 25 years if maintained well. As with the Turnberry Bench previously featured, We are loving the simplicity and uncomplicated look of the Classic Dining Set pictured below. 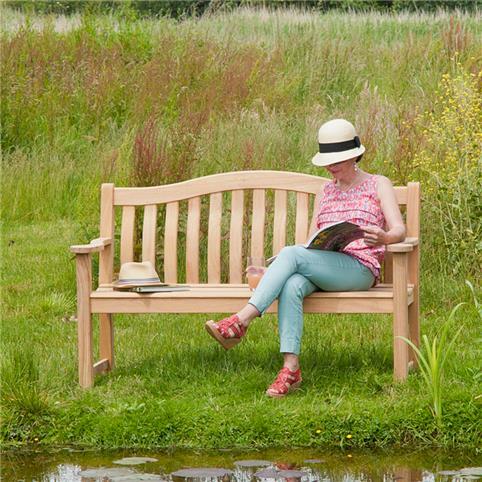 With an increasing demand, Roble wood for Garden Furniture uses 100% FSC pure timber, sourced from managed forests built up for manufacturing purposes, leaving resources such as parks and reserves untouched. 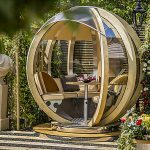 Where to buy Roble Garden Furniture? 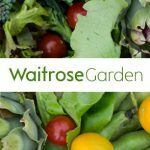 Currently Alexander Rose has the widest range of Outdoor Furniture manufactured with Roble, backed up with there excellent 10 year guarantee – Check prices and buy online from the following approved retailers.